The 8th Commandment of Enterprise is COMPLETION! "Anything Worth Doing Should Be Done Well"
Well implies that it was done correctly. Everything started should finish somewhere and at sometime. The only thing that last s forever is eternity. And we’re not there because we’re fixed in time. The goal is to get one's "to do's", done by today or at sometime. 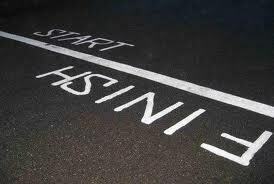 "A start is a trial on everything that has been prepared"